Santorini is an island which is located in the southern Aegean Sea. Santorini is about 200km southeast of Greece's mainland. 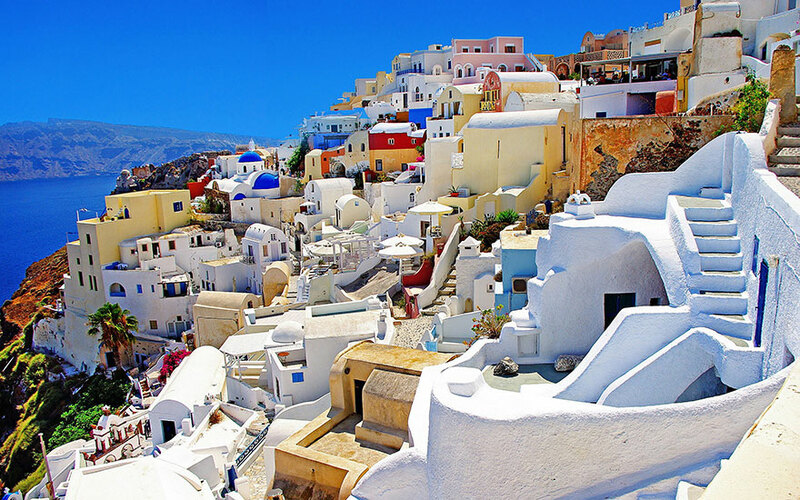 Santorini is the largest island of a small, circular archipelago which has the same name of a volcano caldera. Santorini has no rivers on it and water is supposedly scarce too. Back in the 1990's locals used to fill up water cisterns from the rain that fell on the roofs and courts and small springs. Nowadays they get their water imported from different areas of Greece. Santorini is one of the most beautiful places in the world and is recommended by many as a great holiday location. Santorini is known as having some great views and beautiful scenery. Santorini has many tourist attractions like The Catholic Cathedral of Fira, Hiking Trails, Santorini Volcano or even Santorini's world famous beaches. The climate in Santorini is typical of the Mediterranean climate. Generally Santorini has extended periods of sunshine throughout most of the year, which is relatively warm and dry summers. In the winter time regularly has rainy winters.